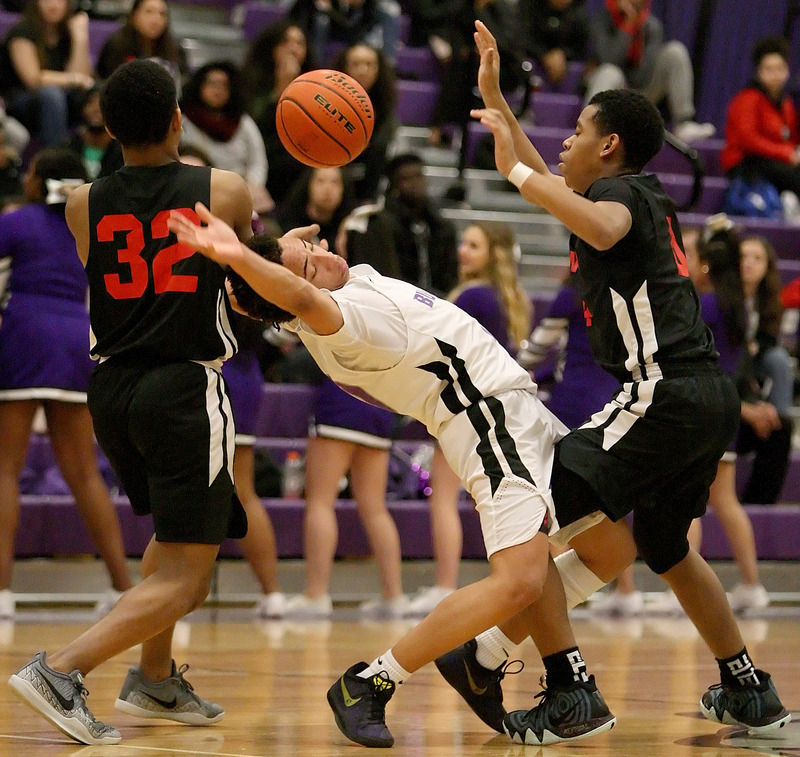 Superb second quarter execution on all fronts fired up the Foster boys to a huge lead on the way to an 80-55 dismantling of previously league unbeaten Renton in SPSL 2A action on Fri., Jan. 18, in Tukwila. Led by high intensity movement, the second place Bulldogs foreshadowed the coming destruction of Renton by scoring from inside and outside to lead 18-8 after the first quarter. Blocked shots, rebounds, steals andf fast breaks against a static Indian offense enabled Foster to unleash waves of scoring in a tsunami like submersion of Renton in a torrid second quarter. Jamari Severson had paved the first quarter effort and Drew Hill plus Nyel Hair became major forces in the second quarter. Jalen Fayson and Markell Jackson also became part of the Bulldog wrecking crew that devastated the Indians for 17 straight points and a 35-8 margin. Including the end of the first quarter, the visiting Indians went scoreless for nearly five minutes. By halftime, Foster had run away to a 42-11 control. The Bulldogs slowed the pace down in the second half, but still led by 29 points at 57-28 before the third quarter. Taking advantage of Bulldog missed free throws and ball control errors, the Indians made a belated charge to trail only 72-51 with 1:44 left in the fourth quarter, but never truly posed a dire threat. Hair closed out with 25 points and six assists. Six-foot, six-inch Fayson scored eight points while hauling in 18 rebounds and blocking five shots. Jackson owned 14 points with eight caroms. Severson got into foul trouble before ending with 11 points. Xavier Bowen dished out five assists. Vershan Jackson paced Renton at 11 points. Foster improved to 8-3 in league and 11-6 overall and is already guaranteed to host a first round league playoff game on Jan.28. Renton (10-1, 13-5) will host its first playoff game on Jan.30.